The National Hispanic Institute officially reached a new first in its nearly 40 years of developing Latino leaders, with the election of two NHI alumni to U.S. Congress this week. Alexandria Ocasio-Cortez, the youngest woman ever elected to Congress, won a landslide victory in New York’s 14th District, winning 78 percent of the vote in a district that leans heavily Democratic. The real drama in her race, of course, came back in June, when she upset longtime Congressional leader Joe Crowley to win that district’s primary and emerge as a rising star in American politics. 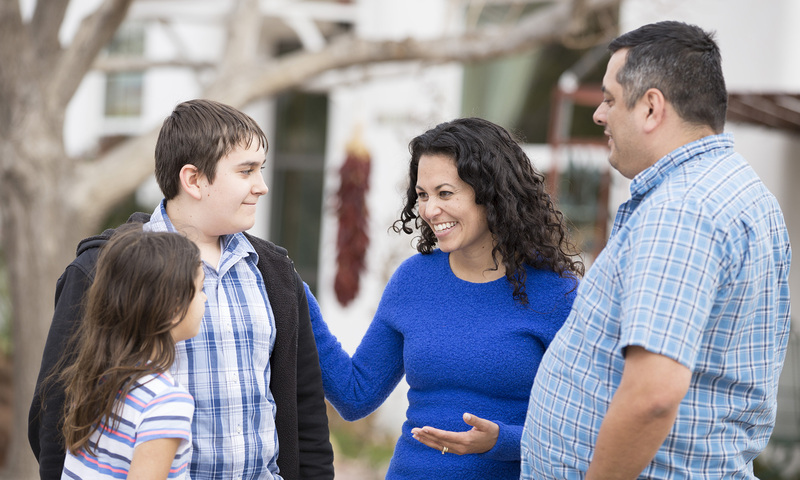 Xochitl Torres Small, running in New Mexico’s 2nd District, was named the winner Wednesday in one of the nation’s most closely contested Congressional races. Torres Small was actually losing to opponent Yvette Herrell with more than 95 percent of the vote in on Tuesday night, prompting Herrell to deliver a victory speech on Election Night. But Torres Small urged her supporters to wait and not give up hope, knowing that more than 8,000 absentee ballots remained in Doña Ana County — including Torres Small’s hometown of Las Cruces. With those votes counted on Wednesday, Torres Small took about a 2700 vote lead, with 99,471 to Herrell’s 96,715. In the other race involving NHI alumni, in Texas’s 19th District, Miguel Levario was not able to overcome a heavy Republican advantage, losing to incumbent Jocey Arrington. Though George Rodriguez didn’t win his bid to challenge incumbent Congressman Pete Sessions in Texas’s 32nd District, Sessions did lose his seat in one of the most notable upsets of the race to Colin Allred, who defeated Rodriguez and five other challengers in the Democratic primary this past March. Political victories involving NHI alumni didn’t just extend to candidates. Analysse Escobar, who won an Distinguished Alumna award Saturday, was unable to attend because she was managing the Colorado gubernatorial campaign for Jared Polis. Polis won, becoming the first openly gay elected governor in the U.S. This is only the beginning to what’s next to come. To have solid candidates, future leaders of this country and to have the talent to manage candidates campaigns; goes to show what the impact of NHIer’s can do. We always knew there were plenty of localized leaders amongst us at the programs, but to have them on the National stage now is the ultimate honor for Ernie and Gloria.